The Nationwide football annual is 130 years old and still the best football yearbook out there living up to its billing as a 'pocket encyclopedia'. As usual the book is packed full of information vital for the football fan; from team line-ups to international results; from appearance stats and goalscorers, to the sort of trivia that should keep pub quizzers happy for at least another century! 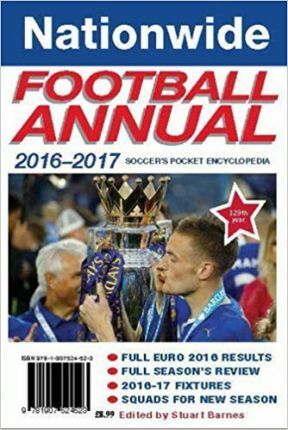 This remains the definitive season guide for the serious footie fanatic.